I know the RivaTuner OSD option is a very early development but it would be cool to have the "External Applications" menu look more like the "OSD" menu so we have the option to enable and change labels. Just a thought. Keep up the good work! Thank you for the suggestion. 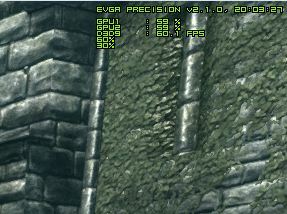 We'll work on enhancing the Rivatuner support in the upcoming releases of AIDA64. The top 4 lines are the normal osd output, the lower 2 lines are cpu,- and mem usage by aida, but with no way to label them it's not very useful. After upgrading to this new version, make sure to restart Windows to finalize the upgrade. You can enable the labels in AIDA64 / main menu / File / Preferences / Hardware Monitoring / External Applications.